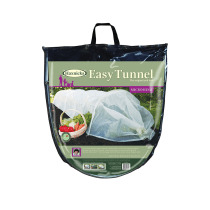 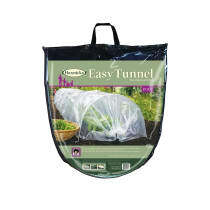 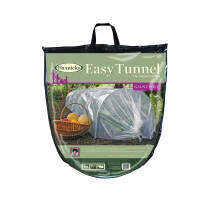 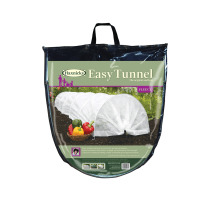 Haxnicks award winning Easy Tunnels are the original and best selling tunnel cloche. 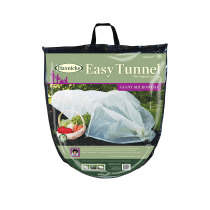 Quick and Easy to use, all Haxnicks Easy Tunnels are manufactured as a one-piece design that opens like an accordion and folds away neatly for storage. 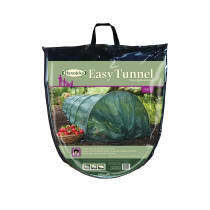 Made from long lasting materials, the Easy Tunnels can be used year after year.Our 3m tunnels are not 3m at all! 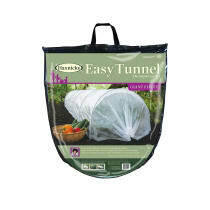 The length between the two end hoops is 3m but due to the drawstring ends, and our generous nature, the standard size measures 3.6m and the giant almost 4m long . 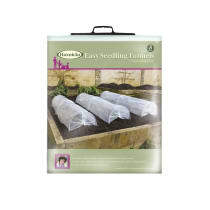 For gardeners that means more plants in the row! 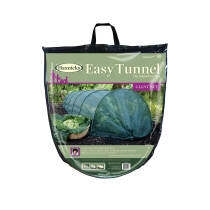 There are four types of tunnel available, each in two sizes, Easy and Giant, choose from UV stabilized polyethylene, high-grade fleece, fine micromesh or 5mm mesh Net tunnels .